Do Retakes Help or Hurt Our Kids? To retake those tests and try to improve the second time around. On the face of it, this seems like an excellent policy. It gives kids who might not be the best test takers the opportunity to accurately demonstrate what they know. And to the extent that retakes serve that purpose, I’m all for them. 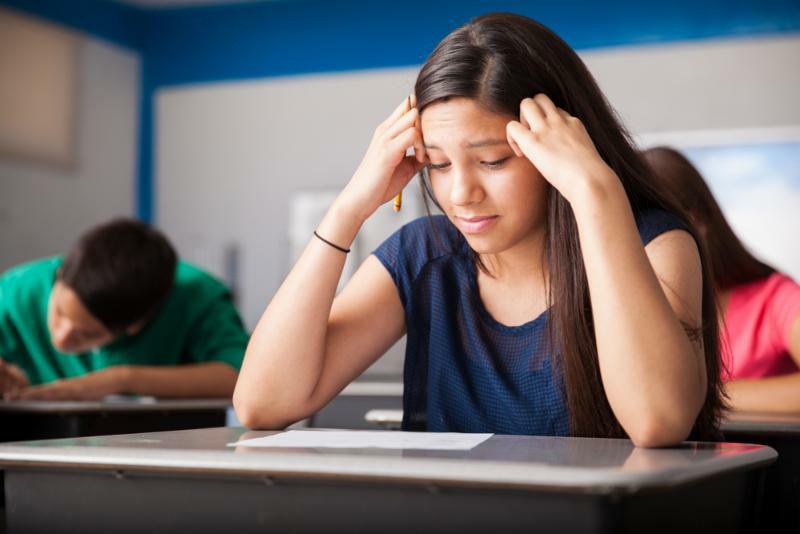 In practice though, I believe retakes have had negative consequences on both our student’s study skills and their preparedness for standardized tests. First, they inflate grades… and our student’s perception of how well they know the material they’ve learned. 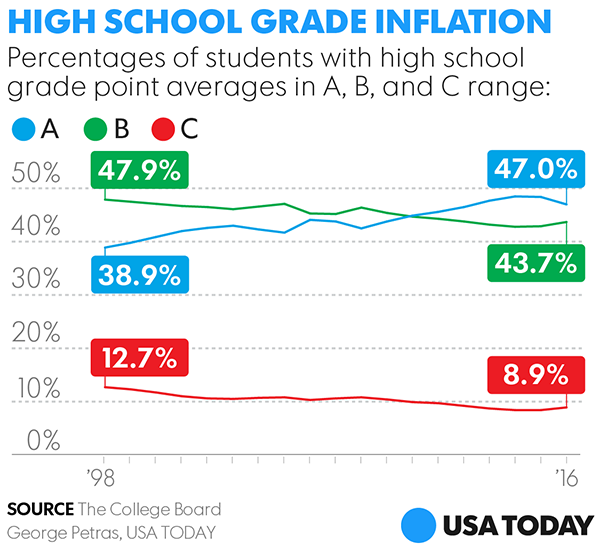 The most awarded grade in high school and in college continues to hold steady at an “A,” three times more common than it was in 1960. This on its own wouldn’t be a problem, if we also saw the same trend with SAT scores. Unfortunately, that’s not the case (average SAT scores fell over the last decade). While retake policies vary, most allow an averaging of the first and second test scores, with some allowing a complete replacement. That means kids who would originally have received a 60 (and maybe take a hard look at their study routine) can retake and end up with a B or an A. Second, they affect our student’s ability to take standardized tests. We receive calls from parents almost every day with stories of students who have amazing grades (sometimes well above a 4.0 with advanced credits), yet unexpectedly low SAT or ACT scores. These are diligent, hard working kids who care deeply about their grades. They’re doing the homework, they’re participating in class, they’re working hard on group projects, but they’re not always doing well on tests. So they retake the test and bring up their grades, but don’t address the core problem: they weren’t ready when the test was given. So is the answer abolishing the retake policy? No, but I do think we have to make sure we’re preparing kids in the first place with the study skills they need.